In 1900, Atlanta had a population of 89,872. It was three years before Oliver and Wilbur Wright made their first flight in Kitty Hawk, N.C., and the world had not yet seen its first silent film, World Series, or Nobel Prize. At that time Col. John Charles Woodward was a young educator who had gone away, to the University of Chicago, for his master's degree, and returned to his native state eager to put into practice his educational philosophies about character, health, and knowledge as the pillars of success. More than a century later, Col. Woodward's philosophies live on in the school that bears his name. As the oldest independent school in Atlanta and the largest in the continental United States, Woodward Academy has always been a school of its time and yet, often and in many ways, ahead of its time. These were difficult times for the entire country, and the Academy was no exception. The school had a cordial relationship with the country of Cuba, resulting in a number of Cuban students boarding at the Academy. Income from these students, along with a generous loan in 1932 from alumnus Robert W. Woodruff (Class of 1908), kept GMA from closing its doors. After Col. Woodward's death in 1939, his son-in-law, West Point graduate Capt. William R. Brewster, took over leadership of the Academy. The school opened as Georgia Military Academy, a military boarding school for boys, with only 30 students and one building called Founder's Hall. By 1910, GMA had 14 teachers, a student body of 150 boys, two more buildings, and a football field. In these early years, teachers and their families lived with cadets in home-like buildings arranged around plazas, playgrounds, and courtyards. 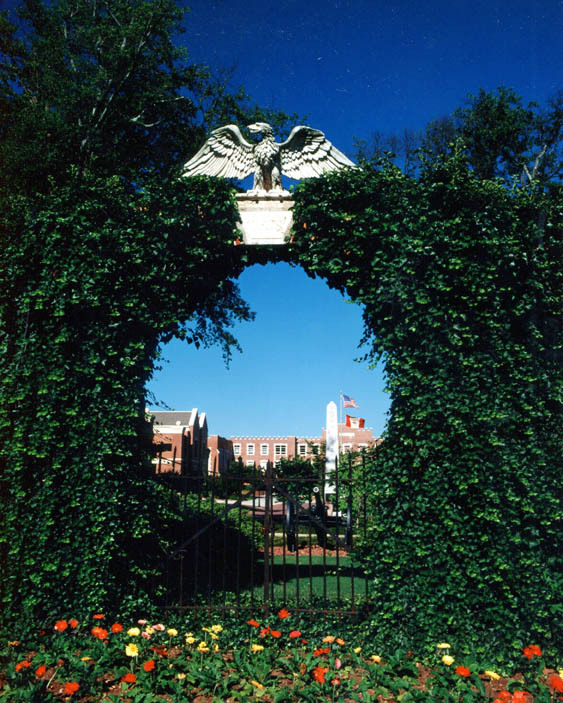 In 1946, a monument was established on campus to honor the 84 Academy graduates who gave their lives for their country during World War II. 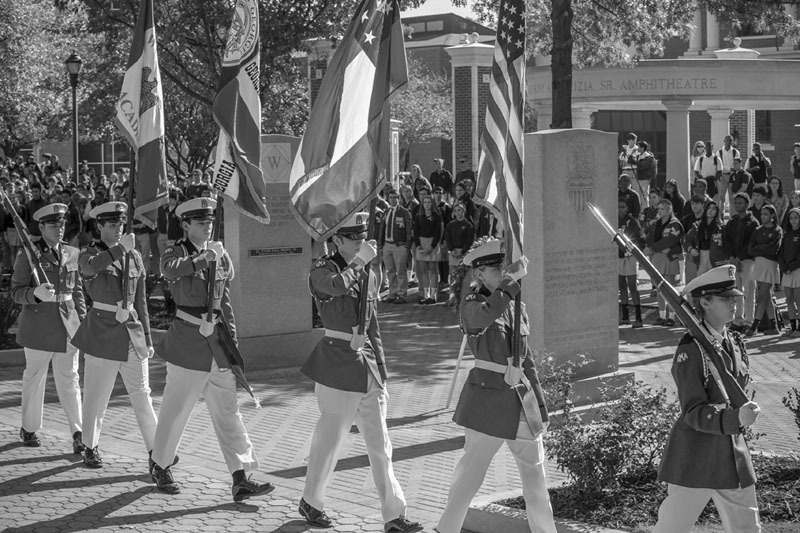 In all, 117 alumni have died in various wars and conflicts since World War I, a reflection of our school's military past that we continue to honor each year with our Veterans Day ceremony. In the 1960s, the Academy was under the leadership of the third generation of the Woodward-Brewster family, with Capt. William R. Brewster Jr. '37, in the Office of the President. Along with astute leaders on the Governing Board, Capt. Brewster set in motion transformative changes that created today's Woodward Academy—admitting girls, eliminating the military program, and changing the school's name in the mid-1960s. The Academy also integrated, admitting students of color before other independent schools. Enrollment of day students grew along with the population of Atlanta during this time period, and the boarding program was discontinued in the early 1990s. The Woodward North campus opened in 1990 as Woodward's second elementary school campus. The Academy continually enhanced its academic programs and made early, pioneering progress in such areas as technology in the classroom and learning support for students with diagnosed learning disabilities. The performing and visual arts programs gained a reputation for excellence, and the Academy fielded championship athletic teams while emphasizing good sportsmanship. Woodward retains the best of the past—wise guidance by inspired and dedicated teachers, service to community, the strong emphasis on character-building—while evolving constantly and embracing new, well-considered approaches to education. In the years since 2000, Main Campus has been transformed with state-of-the-art learning spaces and expanded athletic facilities constructed as part of the 15-year Master Campus Plan, which was completed a year ahead of schedule in 2014. Woodward's courageous administration has led the way in adopting programs to prevent drug use by older students and to deter hazing and bullying. Our global reach has expanded, with international students enrolling at the Academy and opportunities for Woodward students to study and travel abroad. Our community has become more and more diverse each year, with families from 23 counties and a wide range of religious and ethnic backgrounds, broadening perspectives for our students in ways not possible in other environments. We are committed—Woodward Academy will always hold fast to its values while offering our students leading edge educational programs and remaining at the forefront of independent school education in our city, our nation, and our world. See audio player to the right for all three stories.